No doubt, Japan is one of the most beautiful countries in the world many Filipinos dreams to visit one day! 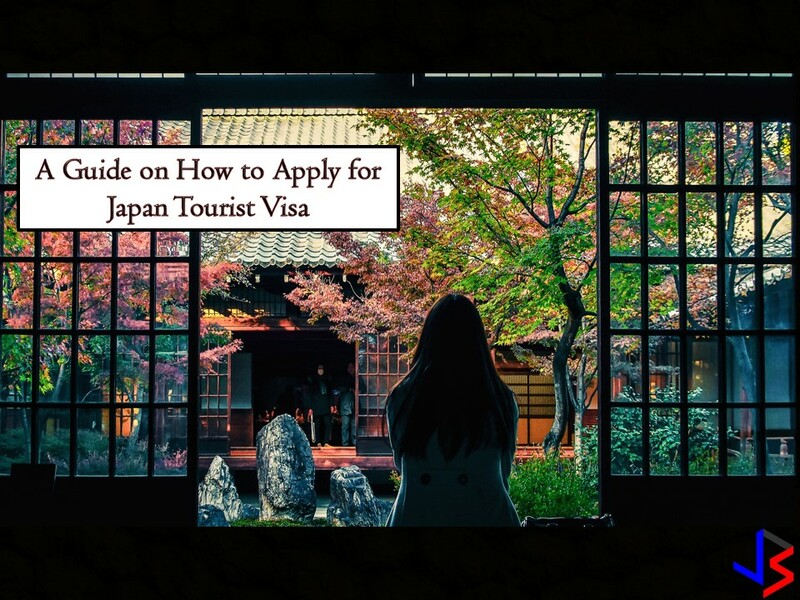 Whether you want to see the real Cherry Blossom or Sakura or just want to experience the beauty, culture or the snow of the country, entering Japan needs a visa. So here's a simple guide on how to apply for a tourist visa if you are planning to visit the "Land of the Rising Sun" — Japan. There are many types of Japan visas that you can apply for, depending on the purpose of your travel. For example, you just want to tour Japan, then you need a tourist visa. However, if you are planning to visit friends or distant relatives residing in Japan, you need to apply for another type of visa. Remember that each type of visa varies and requires different requirements. Check the website of Embassy of Japan in the Philippines for more information. The following are the requirements needed according to the Embassy of Japan in the Philippines for tourist visa application. All application must go through accredited travel agencies. So look for one where you can submit all your requirements to them and they will be the one to process it for you in exchange for corresponding fees. Walk-in application in The Embassy of Japan is not allowed. If there is no problem with your application, the process should only take three to five days. In case that there is a problem with your visa application, the embassy will reach out to you. If you completed all the requirements and checked by your agency, all you need to do is to wait. This article is filed under visa application, visa approval, visa application process, tourist visa, Japanese tourist visa, Japan Embassy and types of visa.